Diwali Dinner and Dance | Oshwal Association of the U.K.
Leicester Oshwal community celebrated Diwali dinner and dance program on Sunday 11th November 2018 at Braunstone Civic Centre from 3 pm to 8 pm, with a total turnout of 109 people. Armistice Day, Remembrance Day or Veterans Day is commemorated in many countries involved in the First World War on November 11th every year or on the Sunday nearest to it (as it happens it was Sunday this year). Several countries remember the people lost during the First World War and other wars by holding a two minute silence at 11am on that day. The celebrations started with prayers and 2 minutes silence for lives lost during The Great War. The prayers were also for the loved ones who are no longer with us. Nikunj explained about the number of Indian soldiers that had taken part during the World wars 1 and 2 who lost their lives. Vinodbhai Gandhi and group entertained everyone by singing the golden oldies as well as new songs. The music was enjoyed by younger generations and elderly. Including Swahili songs. Also we had families from Northampton and Nottingham who joined us for the celebrations. 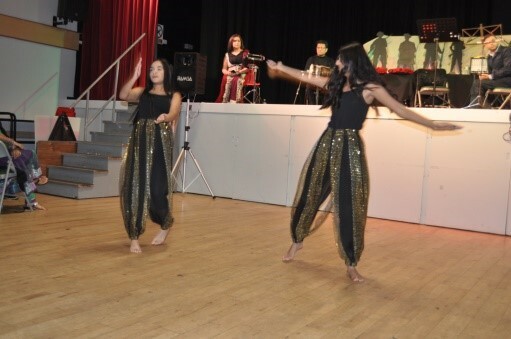 Anika and Kinal entertained the audience by performing a Bollywood dance. As a gesture of appreciation Leicester Committee presented them with a bouquet of flowers and a box of chocolates each. Chocolates were distributed by Vanitaben Shah in honour of becoming Great Grandmother. Sureshbhai kindly donated Gluco Lab machines to people who are suffering with Diabetes. Everyone enjoyed the delicious meal of puri, moong daal shaak, ringda bateta nu shaak, kachori, shrikhand, kadhi, bhaat, green chillies and carrots pickle. Also I would like to thank committee members and their spouses for making the program successful. Last but not least I wish to thank the whole community for their support in ensuring that the event was a success and enjoyed by all.